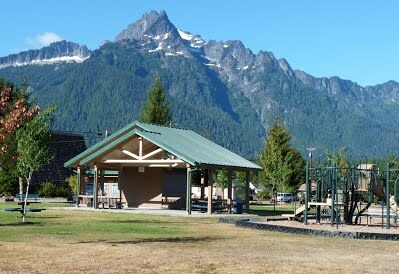 The Town of Darrington strives to provide clean, safe, and beautiful parks for residents and visitors alike. We take pride in several parks that embrace our natural surroundings and local heritage while promoting a healthy outdoor lifestyle for all ages. Scroll down to learn more about each of our scenic and unique parks. The Gazebo is available for reservations please Contact Town Hall if you have any questions or would like to make a reservation. Spend a day playing your heart out at Old School Park! 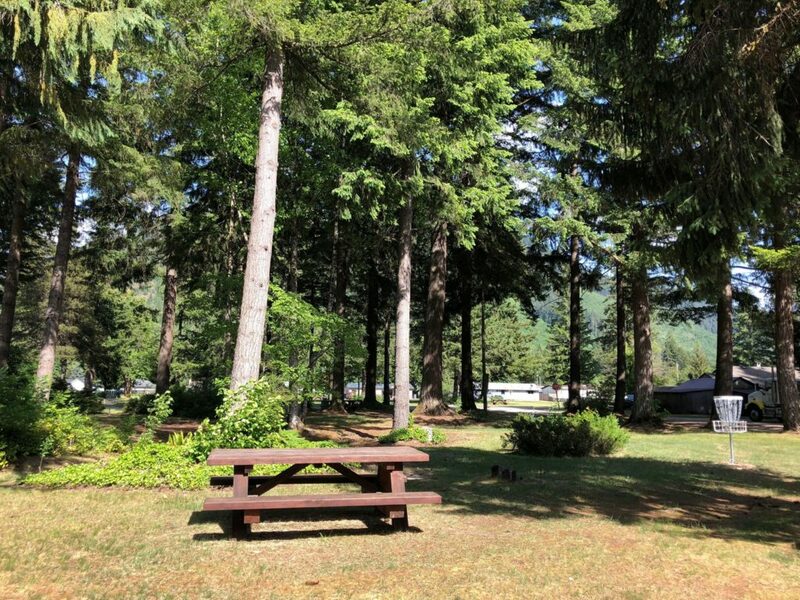 Centrally located on 1026 Alvord Street, Old School Park is a perfect place for a picnic under the gazebo, an exciting bike run on the Darrington Pump Track, or just to let the kids play at the playground. Restrooms are available during the spring and summer months. The majestic Whitehorse Mountain towers above the park and provides a spectacular view of the “horse” that the mountain is so famously named for. Can you see it? Bring your bike and get ready to ride! 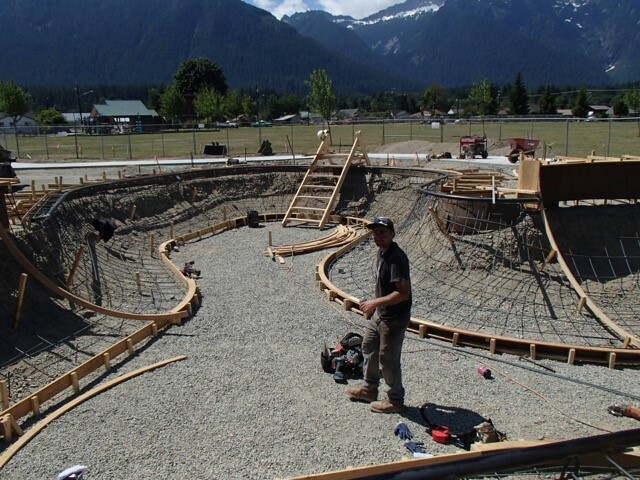 Have you taken a ride on a pump track before? Your in for a treat! A pump track is an oval-shaped bike route with bumps, curves and jumps designed to challenge riders’ control of their bikes. Riders rely on momentum and balance to carry them around the track rather than pedaling. Pump tracks are a great introduction to mountain biking for people who want to hone skills that are useful on any trail. Come and see the exciting new changes at Old School Park! Reflecting a long-held community desire to provide a park for skateboarders and bicyclists to ride and more opportunities to get outside and play, we have added a brand new state of the art skate park, new basketball and tennis courts, and a pioneer walk commemorative walk-way. 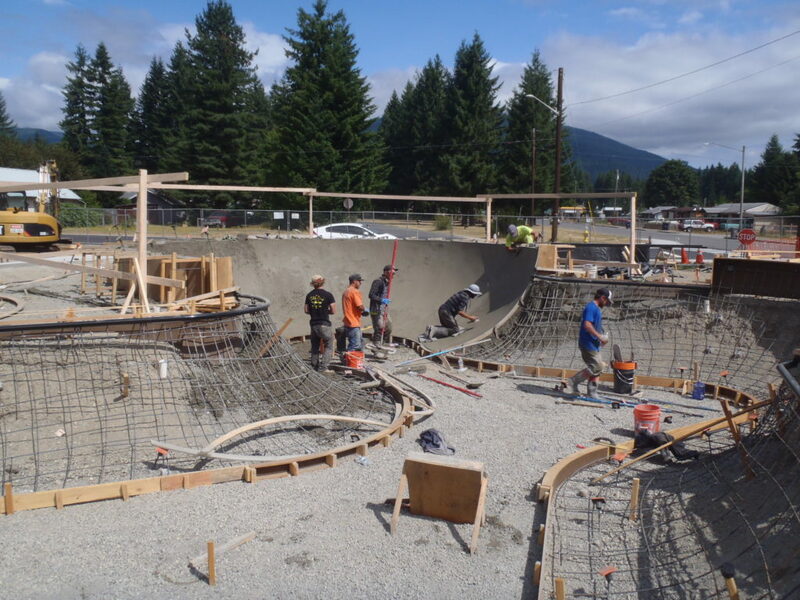 This was accomplished with grants from RCO Washington Wildlife Recreation Program, the Department of Commerce Capital Facilities and public donations for a total of just over $1.3 million. 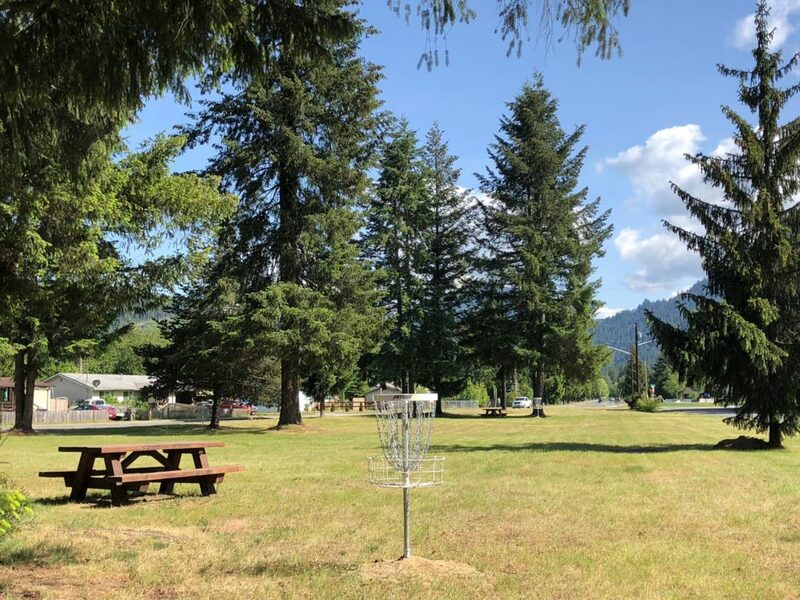 Located at the intersection of Givens Avenue and Cascade Street, Harold Engles Park is the perfect place to relax, enjoy a picnic, or play disc golf. 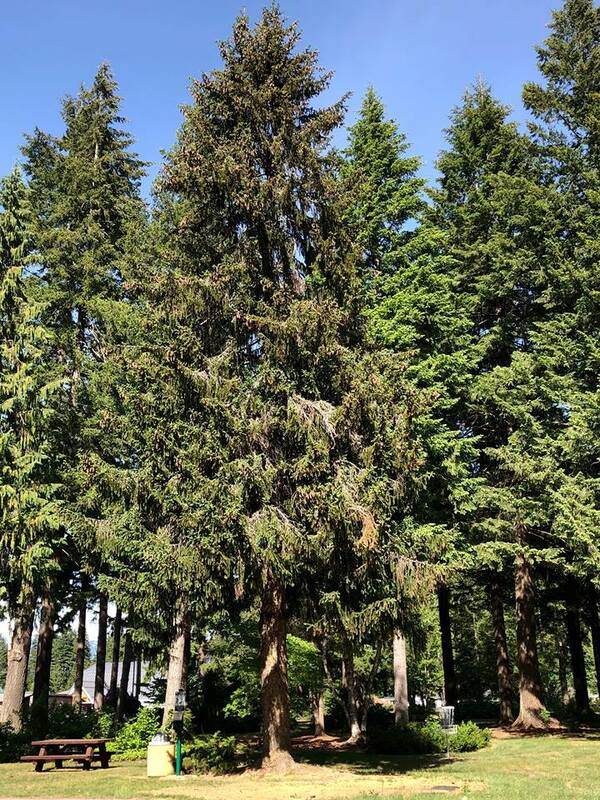 You will find yourself surrounded by a grove of majestic cedar and fir trees that embrace the Darrington history. Interested in playing some disc golf? Click HERE to visit the Professional Disc Golf Association website for how to play and rules. A unique display of history awaits you at the Nels Bruseth Memorial Garden. The dugout canoes that are displayed were used at the Texas Pond Cedar Bolt Camp. There are picnic tables to use and restrooms are located at the U.S Forest Service Ranger Station located across from the park. In 1909, Nels Bruseth was the first white man to climb Whitehorse Mountain. Read more about Nels Bruseth and his wonderfully profound impact on Darrington and the surrounding communities. The Pioneer Park is located on the corner of Darrington Street and Emens Avenue in the downtown district. Pioneer Park boasts handcrafted wooden sitting benches built by local artisans with the wood donated by a local lumber mill. Creative landscaping, trees, and shrubs decorate the park and were provided by many dedicated volunteers who also worked long hours to strategically plant each one. The name of the park was thoughtfully chosen by the Town Council from a list of name ideas that were submitted by community members. 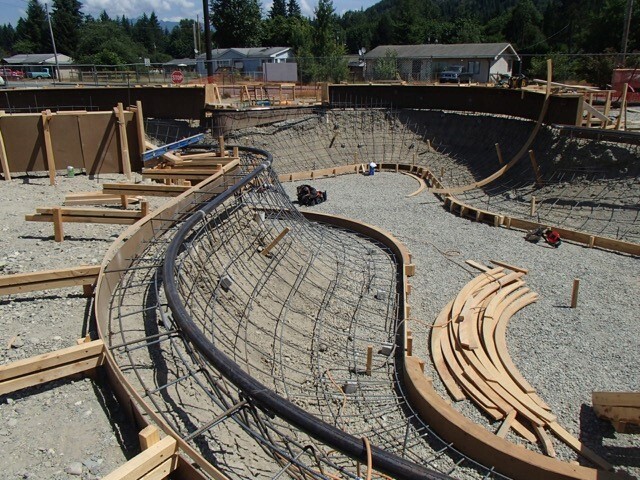 The name reflects the historical aspect of the Darrington community. 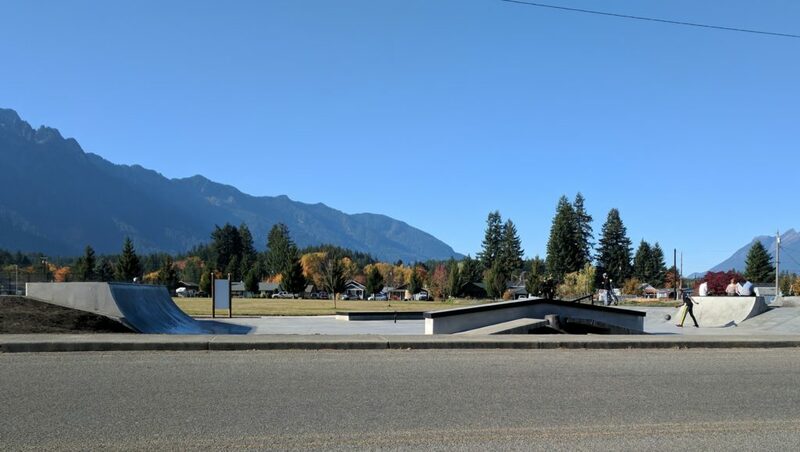 The park property was obtained by the Town in April of 2017 as part of the Community Revitalization Plan that was jointly prepared by the communities of Darrington and Arlington for the America’s Best Communities (ABC)Competition. The document was created to demonstrate a comprehensive economic development strategy for the region. The ABC Competition included sponsors such as Frontier Communications, DISH, CoBank and The Weather Channel. The competition called on communities to show why they were America’s Best Community and how they were connected to their sense of place and committed to it’s economic vitality. Visit Destination Darrington for a complete list of recreation opportunities, where to eat and stay, maps, or just to get to know Darrington!